USER SCORE:94%The percentage of users who liked this based on high quality reviews from sources such as Google Play, iTunes, and Amazon Music. Above 75% is green. ? SELECTED LINE: Georgeous String Arrangements Gorgeous recording, soothing strings, this is going to be a great album. Downloaded How Am I Suppose to Live Without You, so nice !!!! -Waren B. 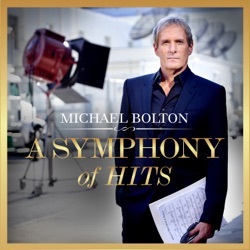 A Symphony Of Hits is the 13th compilation album by Michael Boltion, released by Montaigne Records & Entertainment One on February 8, 2019. Georgeous String Arrangements Gorgeous recording, soothing strings, this is going to be a great album. Downloaded How Am I Suppose to Live Without You, so nice !!!! Full Piece Orchestra! Amazing arrangements. It is great to hear the classics with the symphony orchestra. Great work!!! Love Michael ‘s music Been a fan for years . One of the best voices of all time !!! !